I love waffles and I was really happy with the waffle maker I got for Christmas. On the flip side there’s just so much waffles one can eat, so I thought of some other uses for the nifty appliance. Some of the ideas are so simple, and more importantly, delicious. 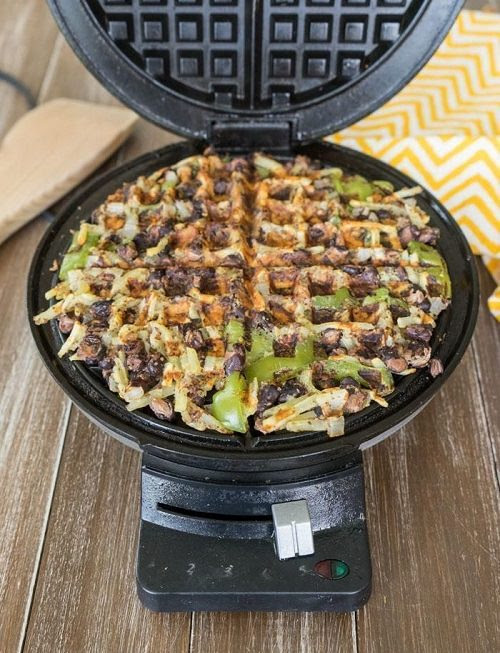 Grate fresh potatoes over the waffle iron adding vegetables and cheese. You can also use frozen tater tots. A classic enjoyable meal easily reheated. 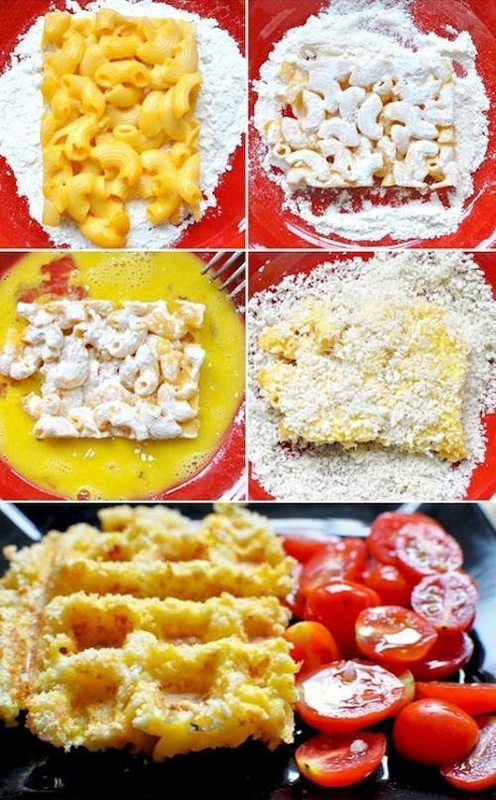 Dip your refridgerated macaroni in flour and coat this with a beaten egg. 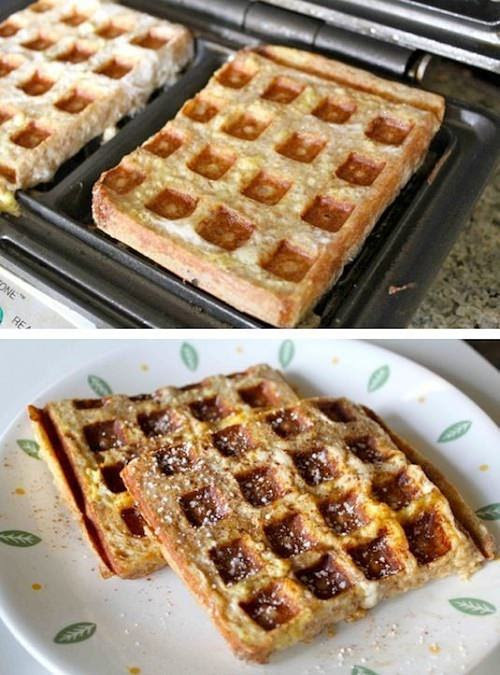 Bread this with crumbs and place it on the waffle iron. 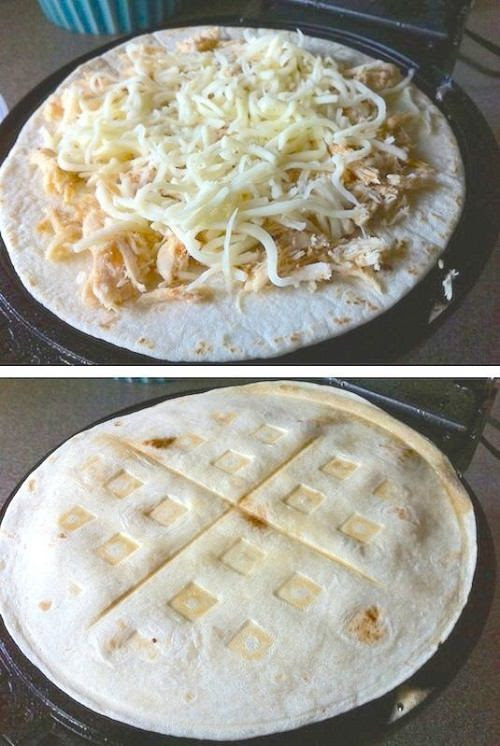 This delicious meal only requires 3 ingredients: tortillas, grilled chicken and mozzarella cheese. You can prepare the chicken in a crockpot. Use cooking spray so that the tortillas don’t stick. This one only takes 6 minutes. 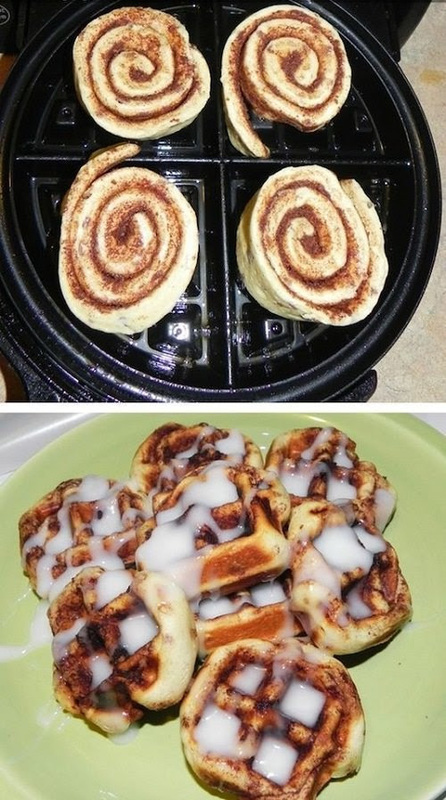 Place Refrigerated Cinnamon Rolls on your waffle iron. Use cooking spray for a non-stick result. Drizzle with icing. Presto. 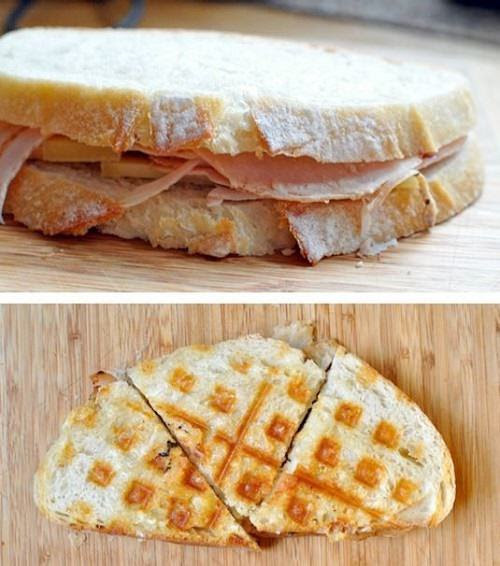 Add turkey, ham and cheese to a slice of bread and cover. If you use sourdough bread spread a thin layer of jam to the bread to offset the sourdough tang. With a pop of color impress guests with instant red velvet cookies. Add creamy white icing for the complete experience. 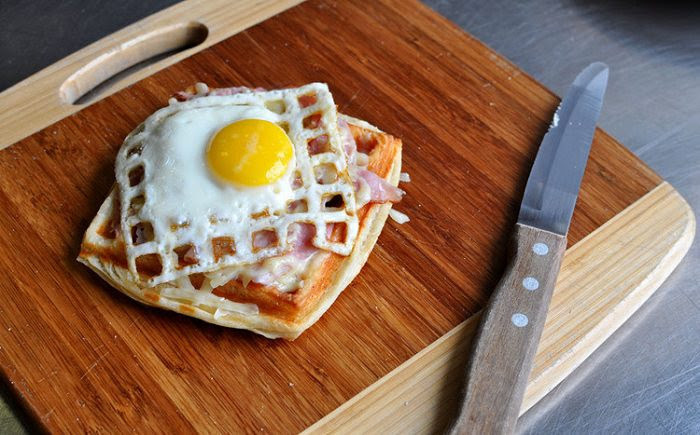 For an quick decadent breakfast cut off the crusts of bread, dip in whisked egg and press in the waffle iron. Add cinnamon, syrup or jam for that finishing touch. S'mores have 3 ingredients: marshmallows, chocolate and graham crackers. Layer bacon slices, lettuce leaves and cheese slices. 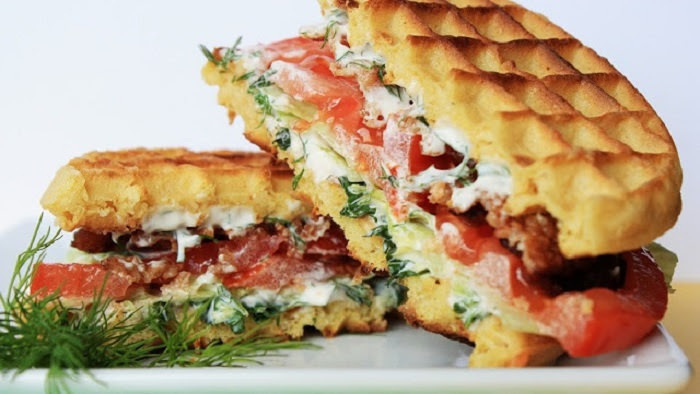 For added flavor spread a thin layer of mayonnaise with garlic, fresh dill and basil on your slices of bread. 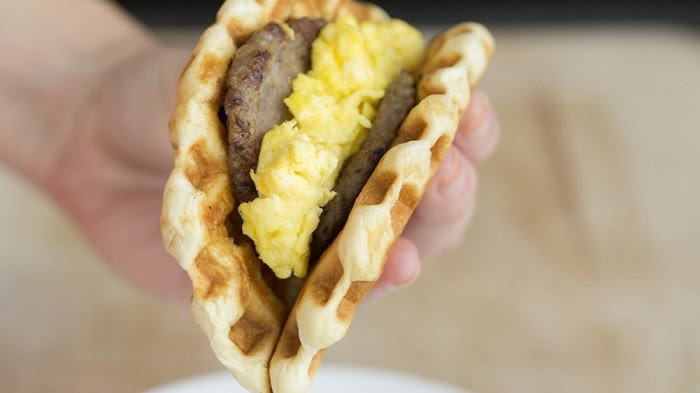 Use a savory waffle recipe, then add meat and eggs. For a vegetarian alternative use beans, vegetables and cheese. 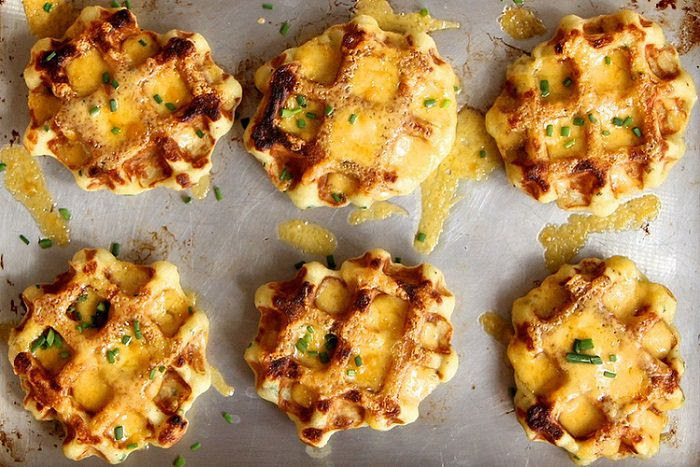 Use leftover mashed potatoes to make delicious savory waffles. Add a pinch of flour and flavor by adding cheddar, chives, garlic powder and butter. 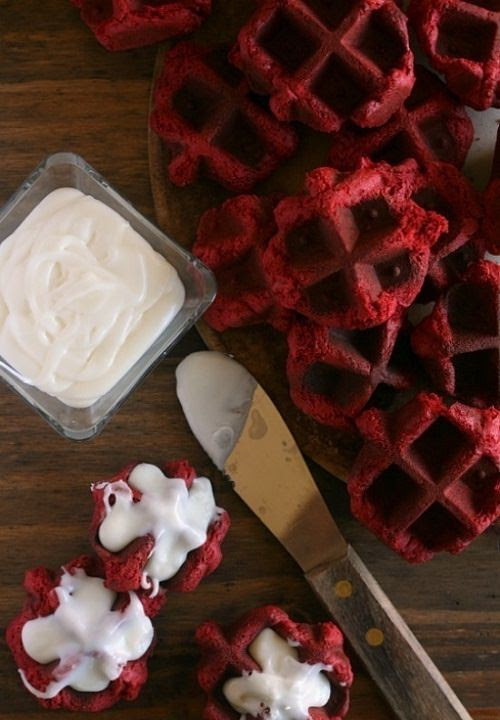 Use croissant dough in the waffle iron. You can then add ham and cheese. Once this is ready, you can cook an egg on the iron, but without closing the lid. 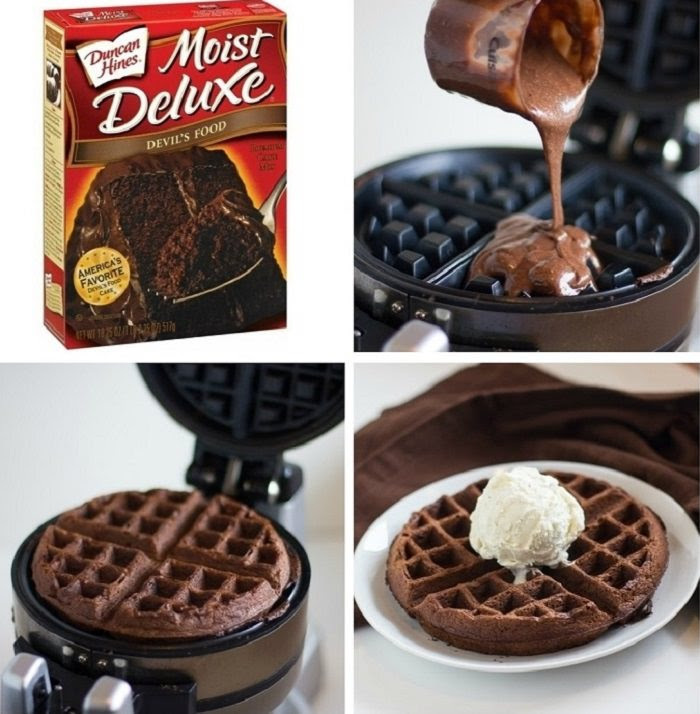 For a further shortcut to delicious baked goods, used a box cake mix and press in the waffle iron for delicious waffle cake. In another bowl whisk the milk, honey and vanilla together. Add the butter to the dry ingredients, mix until it looks coarse cornmeal. Add the liquid mixture to the dry mixture. A dough should form. If a dough doesn't form add more flour, up to half a cup. Let the mixture sit for at least two hours, or overnight. Mix butter s and eggs with the cake mix. Add flour to this mixture, and combine. 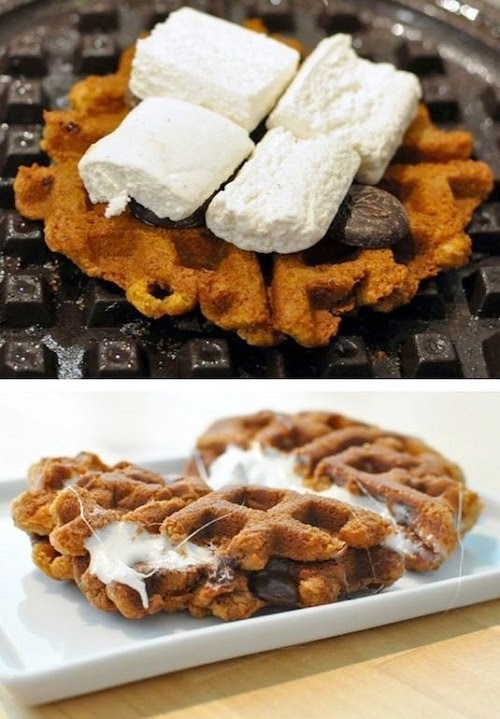 Roll into balls and place on the waffle iron.